The Child Protection and Development Center is using farming to help former street kids integrate into shelter life. The visitors visit the CPDC’s new little farm. 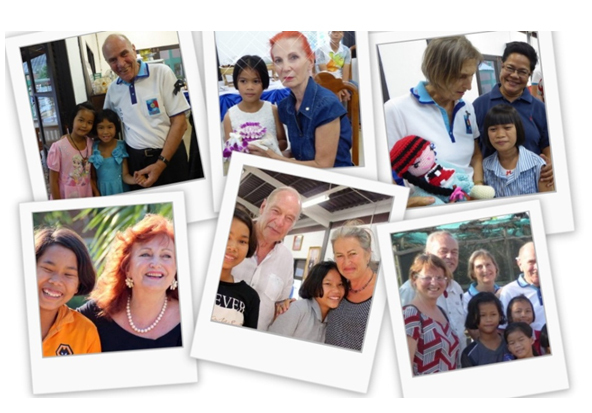 A longtime wish of the Human Help Network Thailand center, the small farm finally became a reality Feb. 12 with a 250,000-baht donation from President Dr Otmar Deter and Secretary Dr Margret Deter of the Rotary E-Club of Dolphin Pattaya International. 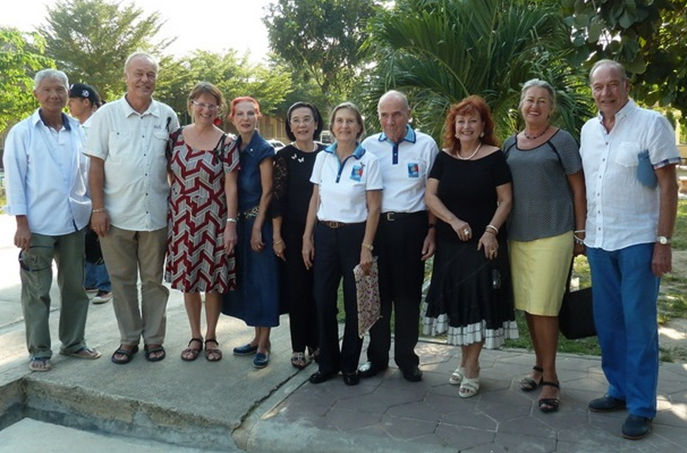 The benevolent couple along with Austrians Eva and Heinrich Schmidinger, the Liebe family, Doris Berger-Peters and the Pattaya Mail’s Elfi Seitz presented the gift to HHN Director Radchada Chomjinda at a party thrown for the occasion. 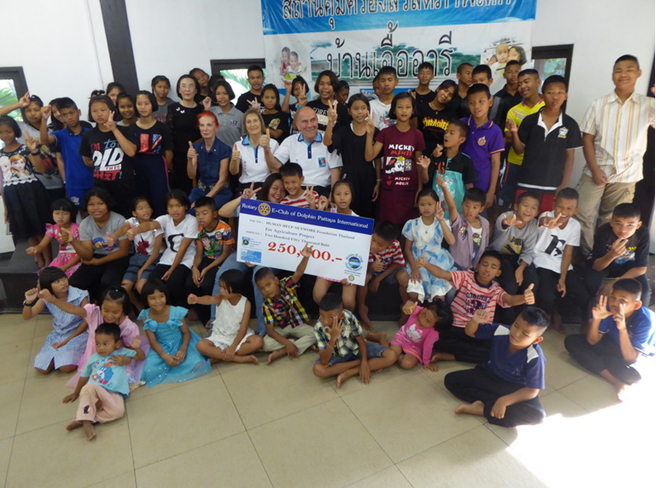 A longtime wish of the Human Help Network Thailand center, the small farm finally became a reality Feb. 12 with a 250,000-baht donation from Rotary International. 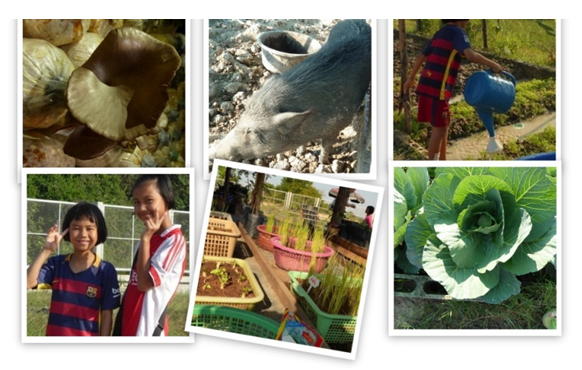 The farm consists of a vegetable garden, mushroom hut, fish pond, one pig, two geese and 20 ducks. The CPDC, founded in 2008, has eight housing units and provides a home to children who gave up an insecure life on the streets for an opportunity to attend school regularly and even go on to higher education. (From left) K. Chomjinda, the pastor-couple Mr. and Mrs. Liebe, Doris Berger-Peters, Radchada Chomjinda, Margret and Otmar Deter, Elfi Seitz, and Eva and Heinrich Schmidinger. Integrating kids into this new environment is a challenge for the CPDC and that’s where farming comes in, helping them adapt to a new lifestyle and an orderly daily schedule. It also stimulates the youth’s self-initiative. 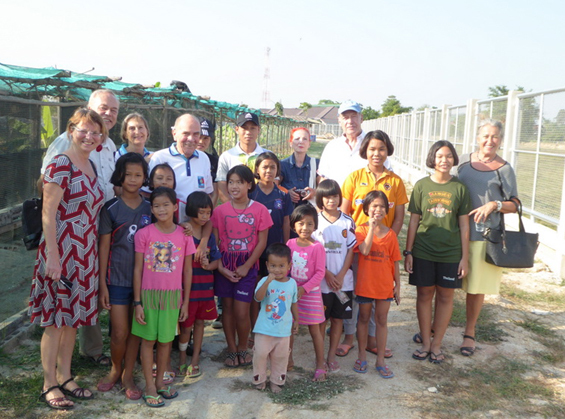 The Rotarians, who also presented the kids with sweets, feel the new farming area will help children who are having a hard life slowly overcome their problems and learn how to smile again. 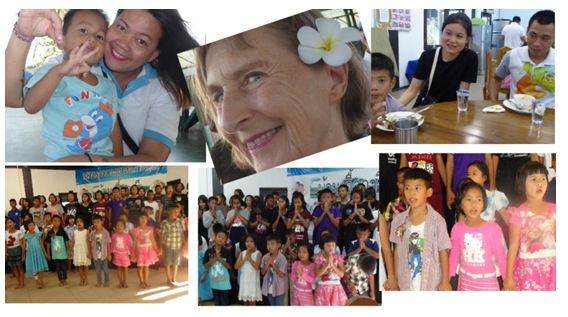 All are happy with the children. Impressions of the small farm.